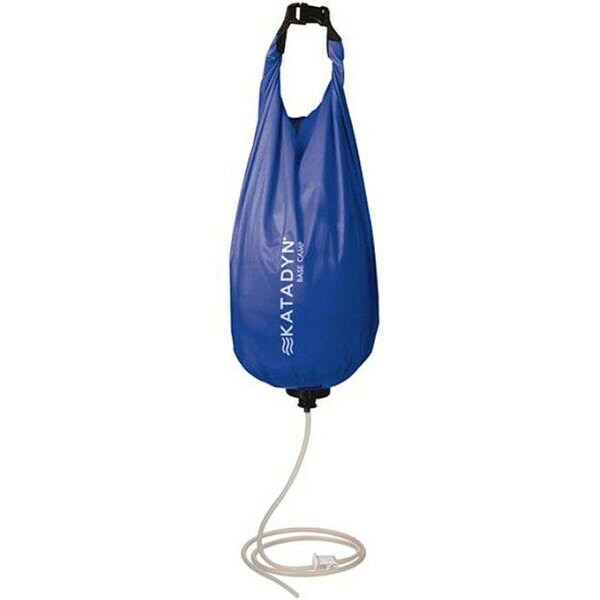 The Katadyn Base Camp filter uses nature's force to microfilter water anywhere without pumping and without unpleasant taste. This fast-acting anti-clog filtering system filters 2.6 gallons in 15 minutes effortlessly. This item is not able to be shipped internationally or to a freight forwarding address. This item has a shipping weight of one pound, so the actual item weighs slightly less.